The American Civil Liberties Union says the song My Love was played along with heavy-metal to break down prisoners. The claim was made by American Civil Liberties Union (ACLU) as part of the lawsuit the group is taking against the two men who designed the CIA’s programme to psychologically break down prisoners. As part of the programme, those being held by the CIA were placed in pitch-black cells where loud music was pumped in through speakers. I’m just trying to shed a bit of light on the subject and have a bit of fun with it all. Abdullah was held without trial for five years and the ACLU says that he was told by his captors told that they were playing the love song especially for him. “Suleiman had married his wife Magida only two weeks before the CIA and Kenyan agents abducted him in Somalia,” the group said on their website. The ACLU say that Abdullah was also beaten, doused in cold water, sleep deprived and put in painful stress positions until he eventually tried to kill himself. After five years in US custody, and after being kept in various US bases, he was was sent home with a document confirming he posed no threat to the United States. 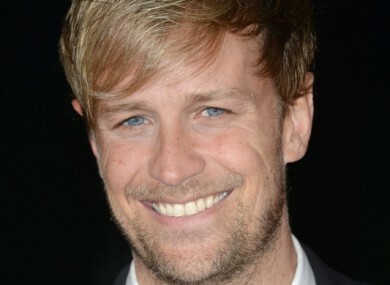 Email “Kian Egan 'not surprised' Westlife song used as part of CIA torture methods”. Feedback on “Kian Egan 'not surprised' Westlife song used as part of CIA torture methods”.